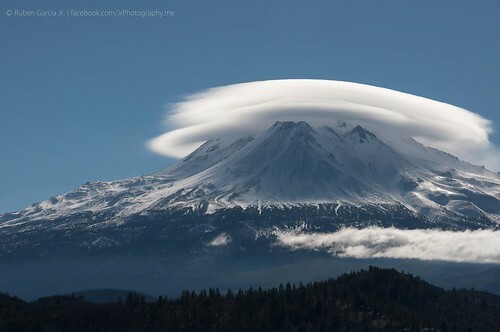 Nothing screams "Beam me up Scotty" like the UFO looking Lenticular Cloud! Because its dramatic appearance and smooth, lens shape, people have been mistaking this cloud for a flying saucer or "visual cover" for UFO's for decades. Technically known as "altocumulus lenticularis" clouds, these clouds are stationary and usually form over or downwind of mountain chains. 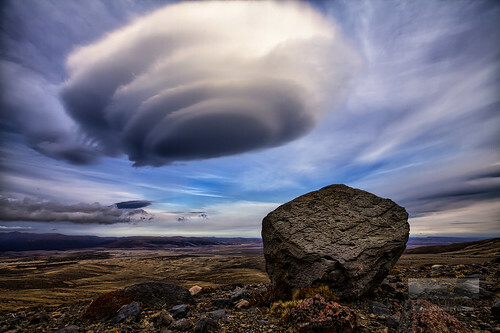 Saucer shaped lenticular cloud spotted over Patagonia, Argentina. When strong upper winds carry stable but moist air over a mountains, a series of large-scale standing waves forms on the downwind side. 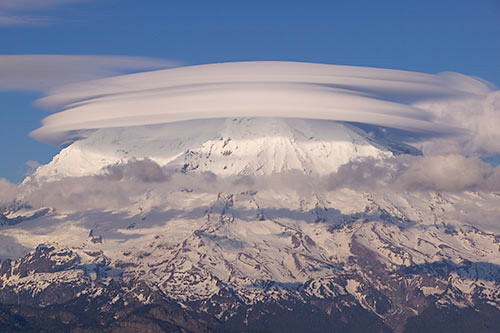 These waves cause the air to lift and condense into smooth stratiform clouds. Once the air descends on the back side of the wave, the air is warmed as the cloud evaporates. 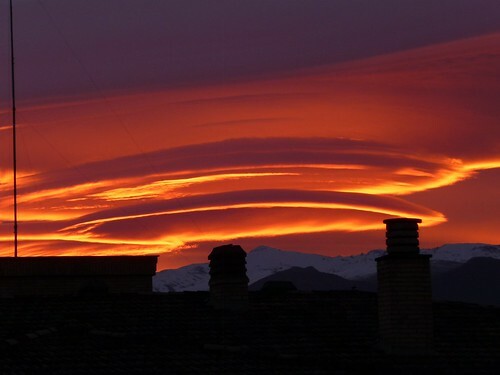 This continual cycle of rising and sinking motion over the same area creates the appearance of stationary, and sometimes multiple stacked, lens shaped lenticular clouds. The clouds can be seen as far as 60 miles downwind of the hills or mountains that led to their formation and they are believed to be one of the most common explanations for UFO sightings across the world. Sometimes these clouds form directly over the summit of mountains dramatically altering thier appearances on an otherwise crystal clear day. Bevan posted this time lapst video of the above scene on YouTube. It's well worth the watch! If you have an idea for a CRAZY CLOUDS topic, you can email me at jkappell@wdrb.com.